There are various grades of canvas used by canvas printers. These range from cheap, Chinese-made products to exquisite canvases made in Europe and North America . Many companies use cheaper canvases because they are easier to print, cost about 50% less than our canvas and require very little skill to stretch. They tend to be lightweight (about the thickness of a cheap bed-sheet) and are often so processed that they lose the luxurious texture present in archival canvas. The result is an inferior product that looks cheap, has a limited lifespan and results in dull-looking images. In contrast, we offer USA-made archival, acid-free matte that’s recognized as the world’s leading fine art canvas. It’s featured in well-known art galleries and art museums around the world. We import our primary canvas from Breathing Color in the United States. It is manufactured in Califonia to the highest quality standard. It has been independently tested to meet the stringent specificaitons of the UK Fine Art Trade Guild. 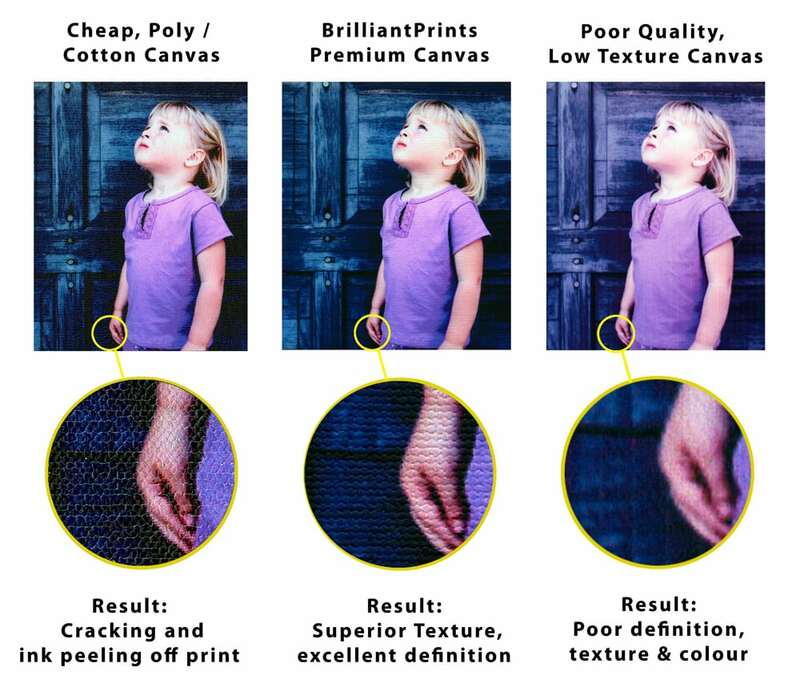 When compared to cheaper blends it is easy to see why so many professional photographers choose BrilliantPrint’s canvas.